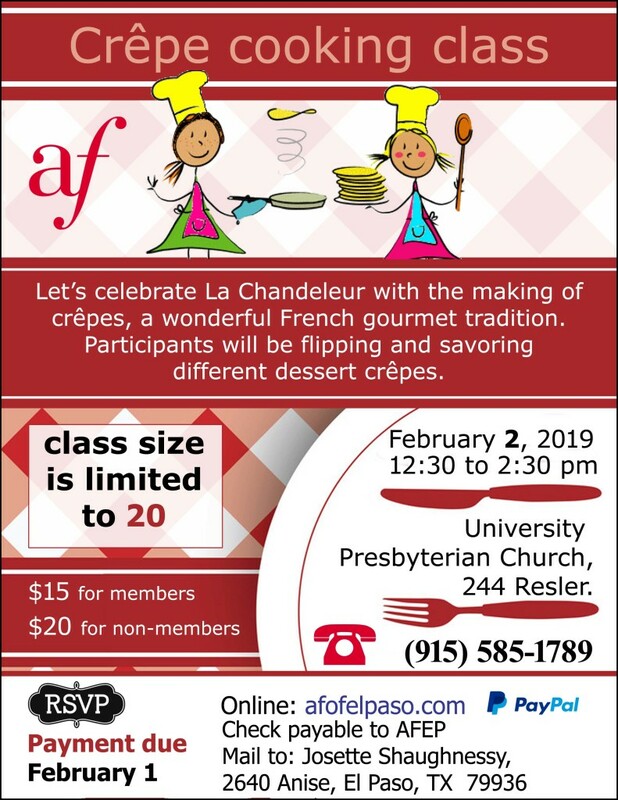 Join us at this fun class where you’ll learn how to make delicious crêpes and let’s celebrate La Chandeleur together! Paid reservations by February 1 are a must. You can pay online at the bottom of this page.